Large Generator | Floor Coatings, Etc. Not only do we have eight (8) times the equipment as 90% of our competitors we also have four large generators (80 KW to 125 KW) – so we can bring our power requirements with us. The fact is, although I’m sure they exist, we’ve never seen another flooring contractor that has their own 3 phase generators. We never have to worry about our customers’ “in-house” electric being up to snuff. 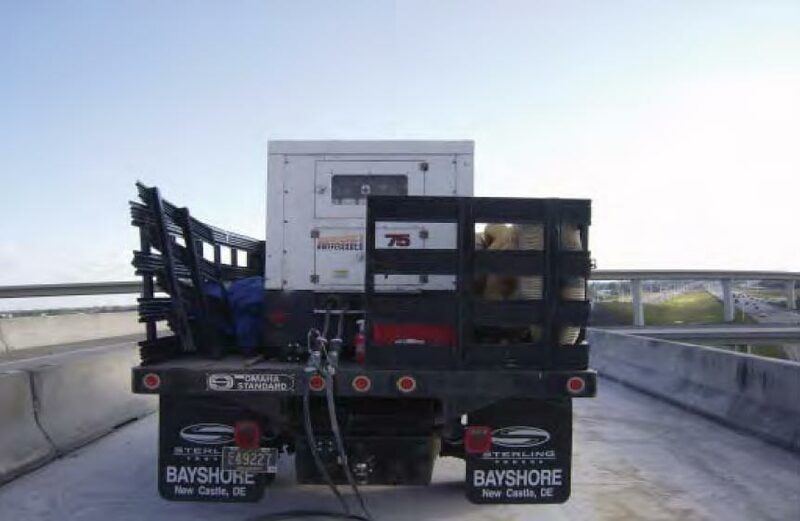 On those rare occasions (upper decks of parking garages, upper floors of buildings) that the floors are out of our reach for our electric equipment, we have propane driven ride-on shot blast equipment.